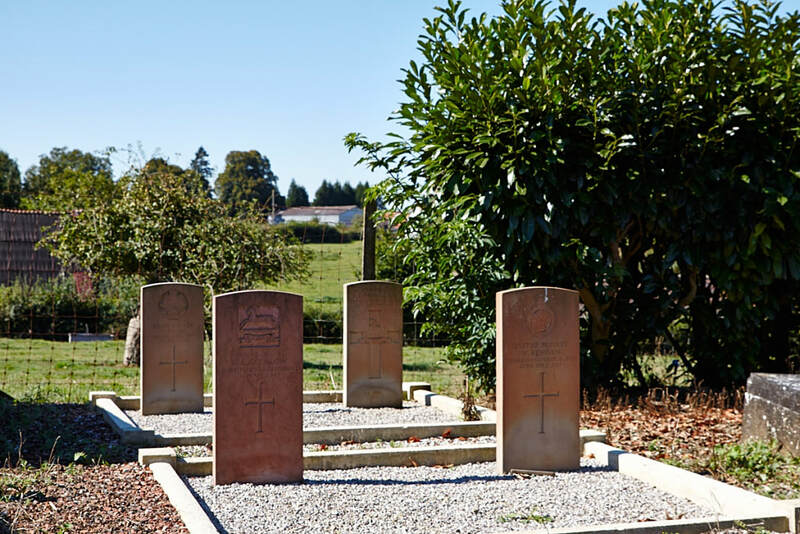 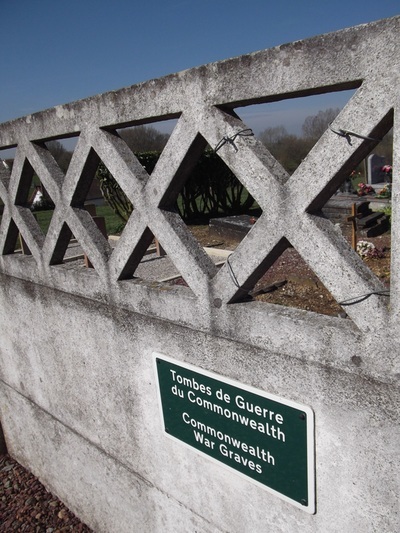 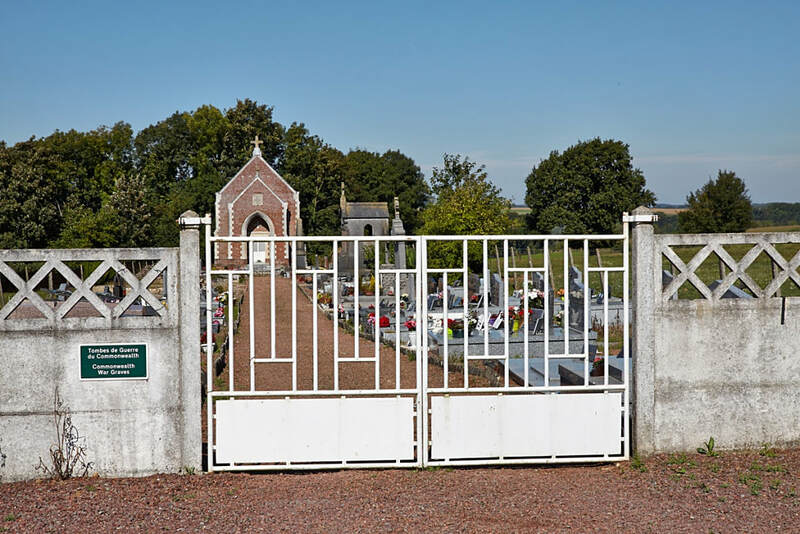 Berlencourt (Le Cauroy) Communal Cemetery contains four Commonwealth burials of the First World War. 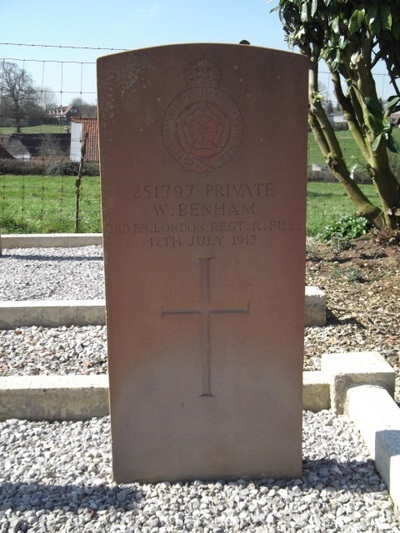 251797 Private William Benham, 1st/3rd Bn. 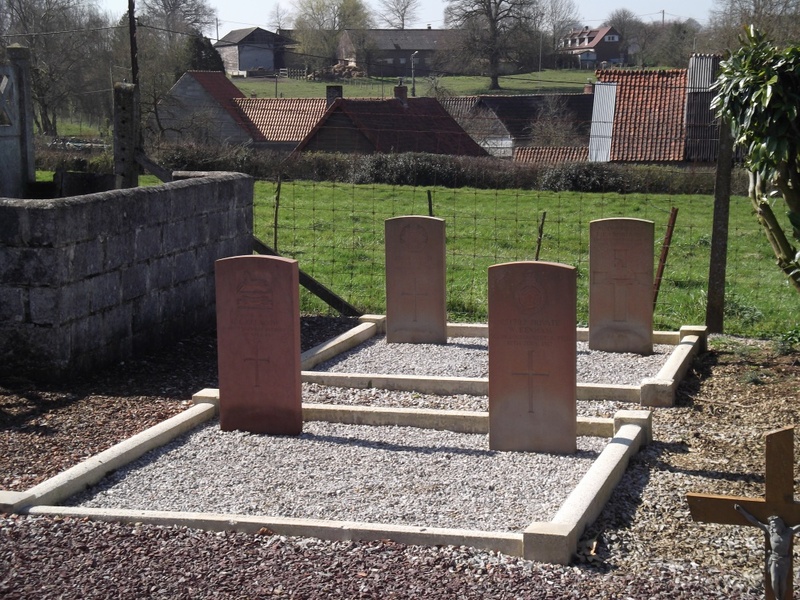 London Regiment (Royal Fusiliers), executed for desertion 12th July 1917. 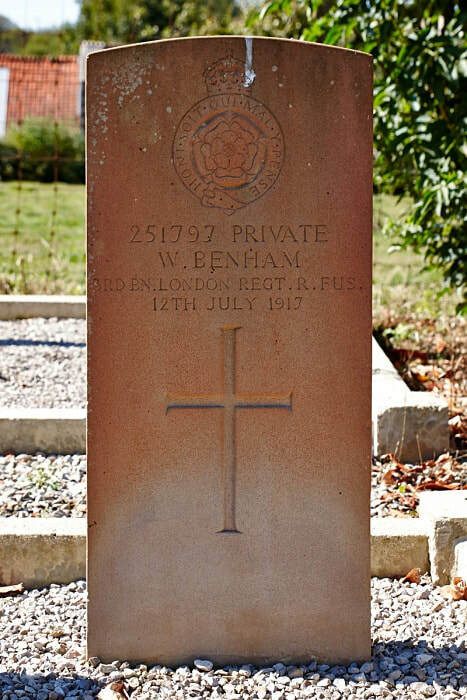 Son of William Charles Benham, of 21, Polygon Mews, Burwood Place, Edgware Road, London. 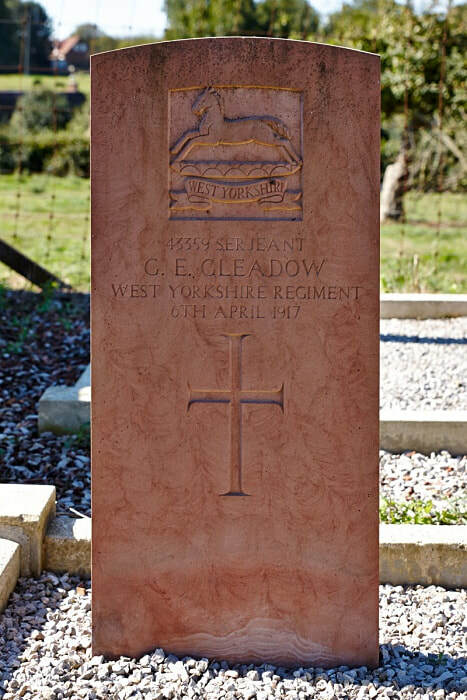 ​43359 Serjeant George E. Gleadow, 10th Bn. 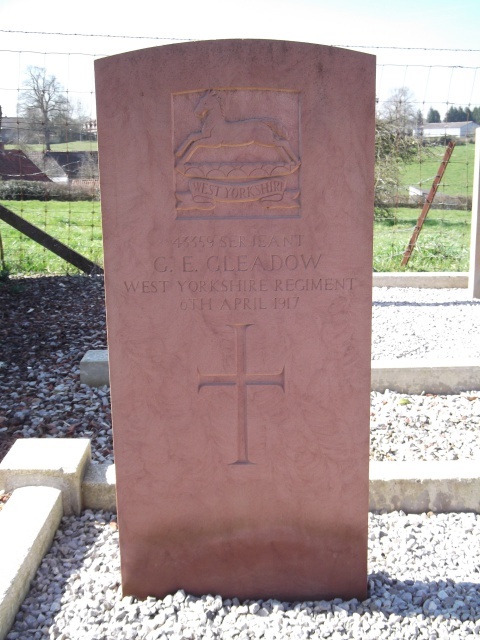 West Yorkshire Regiment (Prince of Wales's Own), executed for desertion 6th April 1917. Son of Mrs. Rebecca Gleadow, of 22, Ladysmith Road, Great Grimsby, Lincs. 242059 Private Frederick Edward Crowhurst, 2nd/5th Bn. Lincolnshire Regiment, died 31st December 1917, aged 19. 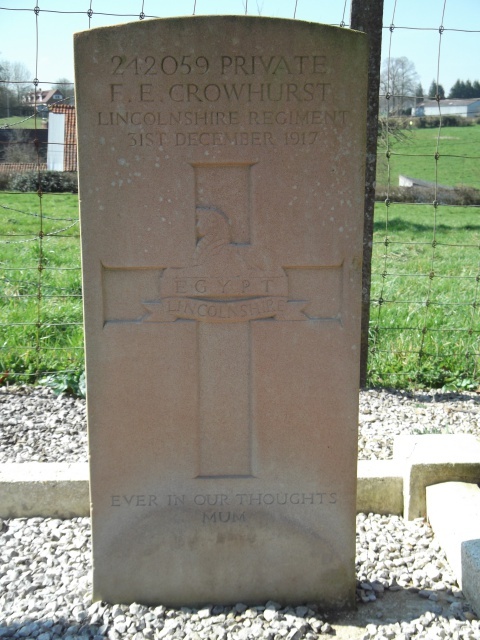 Son of Frederick and Julia Crowhurst, of 23, Longhurst Rd., Lewisham, London. 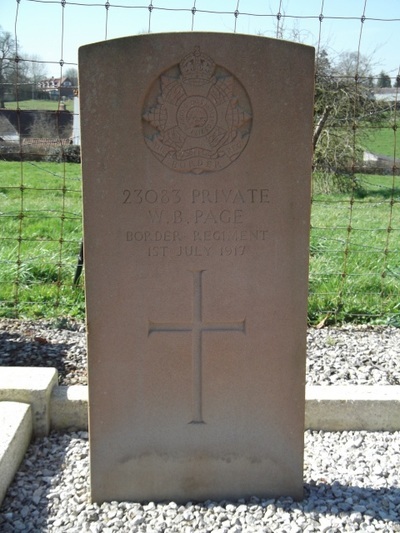 23083 Private W. B. Page, 7th Bn. Border Regiment, died 1st July 1917.